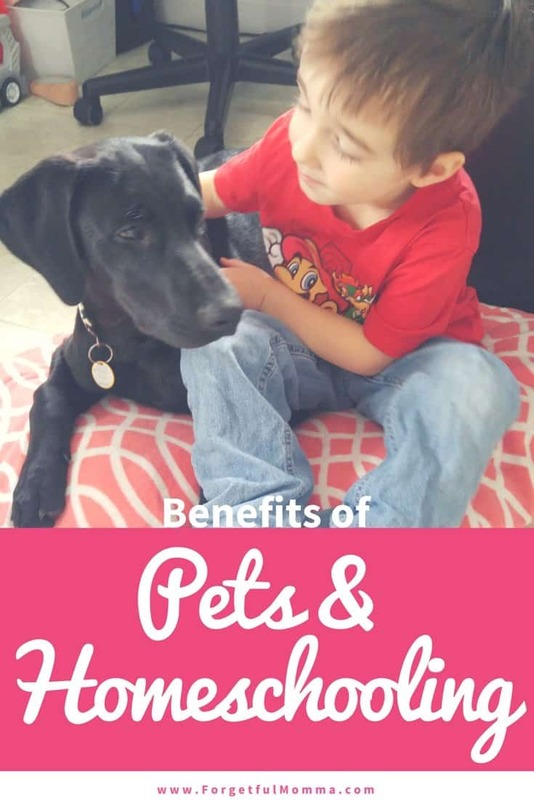 I’m sure that there may be benefits of homeschooling without pets too, like no distractions, but since I can’t even imagine a life without pets, our homeschool is never without pets, two cats, two dogs, plus a varying number of fish. We’re never without a cuddle buddy when feeling blue or overwhelmed here. Or feeling under the weather like we have been this past week, I had no idea our couch could hold that many bodies. Our morning routine starts with our reading with history read aloud on the couch. In the past we spent the read aloud time with a tiny little Siamese cat walking person to person until she found the most comfortable lap, she has since moved on to sitting on the coffee table as our pup has taken her place on the couch. Want your kids to sit still while read Mr. Popper’s Penguins or any other book? Have a 40+lb German Short Hair Pointer lay on them. He is great at cuddling with lots of long legs to pin them down. While I’m kind of joking about needing to pin them down, he does do this because he just wants to be with us and give unconditional love to us all, and sitting on us means we can’t ignore him. Having pets is the perfect excuse for taking a mid morning break, because those puppy dogs need to go outside, they need to be exercised. Pointers are high energy runners, kids are high energy runners. Getting everyone out for a run in the middle of the morning makes lessons later on easier without wiggling around as much. Those breaks also great for stress you and your kids might be feeling over a tough lesson. A wet, doggy kiss is a great break, great way to change the mood. And great for transitioning to our science lessons. 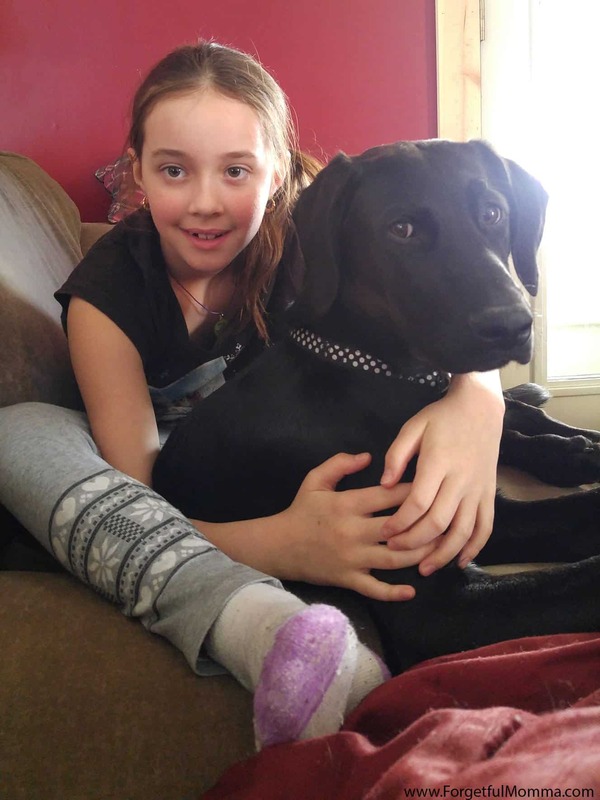 Pets are a great way to teach your kids responsibilities from the moment you get them. I currently have one child who would love to be a vet because we’re responsible pet owners and pets require check ups and vaccines too. Plus a tail-door emergency trip taught us about being a little more careful of our cats. Sometimes kids get so excited about the prospect of having a pet that they forget about the responsibilities that come with it. We have two cats and a girl who has cat allergies. They have learned about keeping our pets clean and our home clean of as much cat (and dog) hair as possible. Part of pet care is treating them right, not crawling on them because that’s just asking for someone to get bitten at no fault of the animal. Plus pets occasionally need baths, which can be fun and messy and a learning experiences for all. We do buy wipes for our cats to help cut down on dander. Haha, good point about the dog pinning the kids down during reading time. I agree that having a pet helps during our scripture reading time 🙂 I definitely agree that having a pet helps children learn how to be more responsible and alleviates stress. Our daughter wouldn’t know what to do with herself when upset or frustrated without our cat! He’s a lifesaver when it comes to bad days! We love our furry students as well. 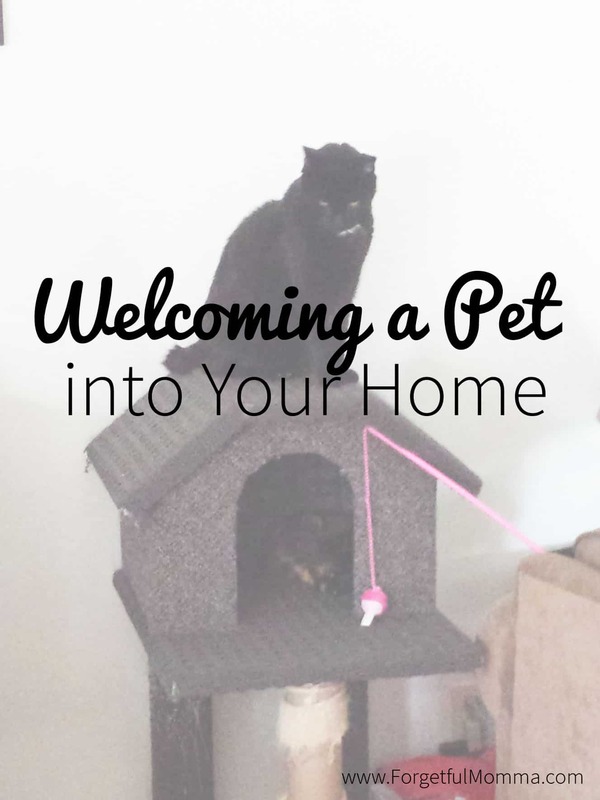 Pets are such a blessing in a home and especially in a homeschool. My dogs help entertain my toddler when he is bored. They are definitely a blessing!